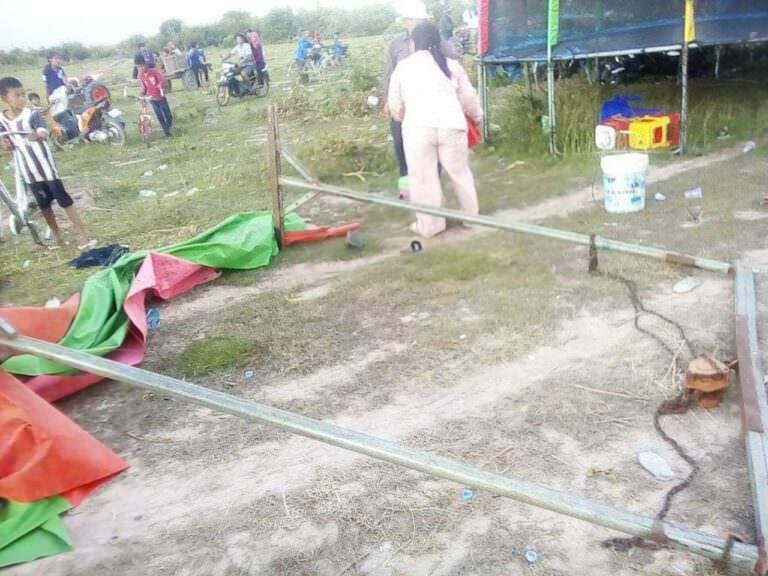 Kampong Chnang: On July 1, a strong wind caused the death of a 33 year old woman and injured her 9 year old son at an ancestors praying ceremony in Roleakpaea district, Kampong Chhnang. There was a big crowd at the praying ceremony for the ancestors that is celebrated for 3 days every year. There were all sorts of street foods, and games for kids such as the Bouncy Castle to keep them entertained. 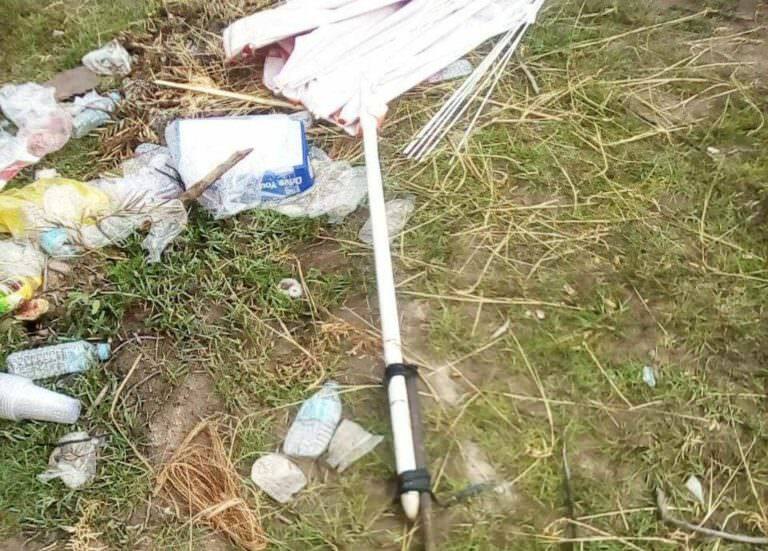 Suddenly, a strong gust of wind blew out an umbrella, which hit the victim who was taking her son to ride the horse toy. 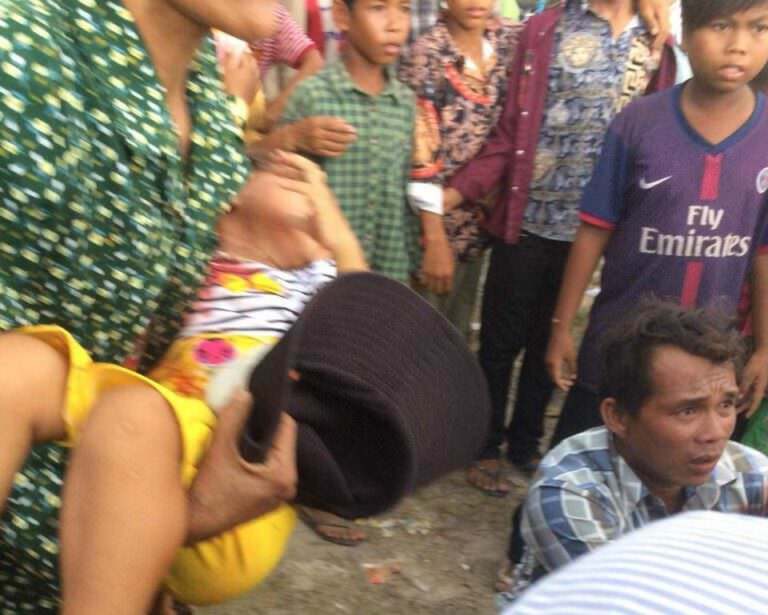 The woman died immediately. Those must have been some very angry ancestors. 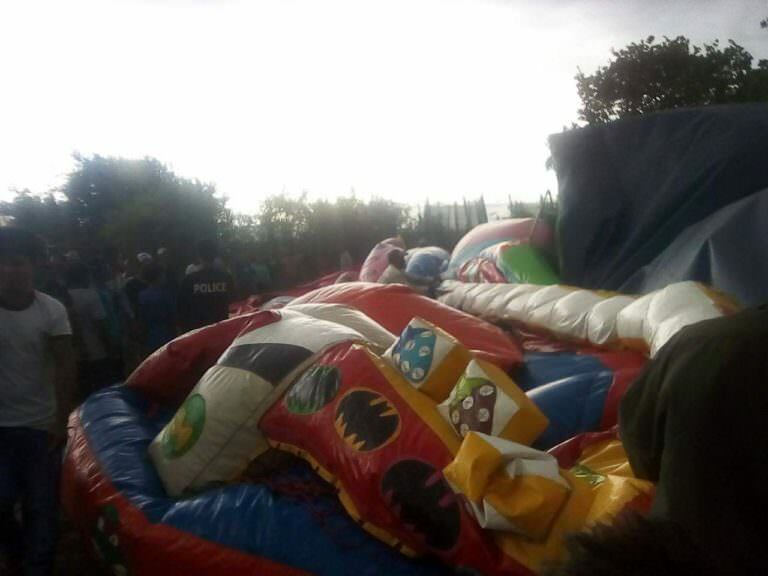 Bouncy house also looks like it took a hit too.